KMEC always endeavored to improve the quality of product and aims to meet the new requirements of international market. 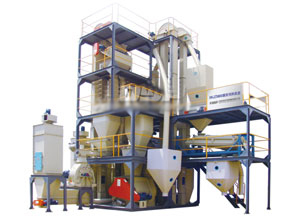 As a machinery company, it specializes in complete feed machinery, complete compound fertilizer equipments, gasifier equipments for coal (bioenergy, such as wood), pellet press machinery, and various drying equipments, designing, manufacturing, installation, debugging, serving of briquettes machinery and the like. In order to guarantee the high class products domestically, numerical controlled cutting machine, digital controlled drill and automatic submerged arc welding machine, shot blast and painting line, together with other advanced equipments have been widely adopted. Apart from all this technical and facility assurance, the two new products experimental bases assure the quality of products through practical test in advance. 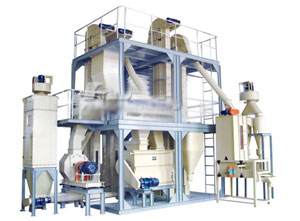 Feed Machinery - The applications of feed pellets have greatly developed recent decades' years. They are easy to transport, more tasty for animals. After well processed, the feed pellets are clean and convenient for the feedlot. The high quality feeding stuff cuber can make strong pellets with slipery surface. Feed Machinery - The pellets feed mill for animal feed such as cattle,sheep,pig etc farm feed animals, chicken, duck, fish etc poultry and aquaitc livings and pet animals such as dog,cat,fish etc, has wider application in agricultural field. Nowadays, intensive management of animal feeding industries can save cost and realize maximum benefit. With the developing of intensive management of animal feedstuff, there is a big market for feed pellets mill.